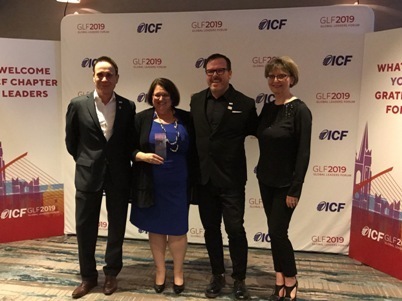 ICF Global Annual Chapter Award! This prestigious award is given to 13 Chapters from around the world, chosen by the ICF for their outstanding performance. Our wonderful board works together to create the best experience for you, our members. Thank you! We do what we do, for you. Head over to the ICF-CT Facebook page to see more photos from Margaret & Monica's adventures in Ireland. We hope to see you at our chapter event on Friday 3/29!